Dead Ox Trailblazers have cross country ski equipment in a wide range of sizes for rent. 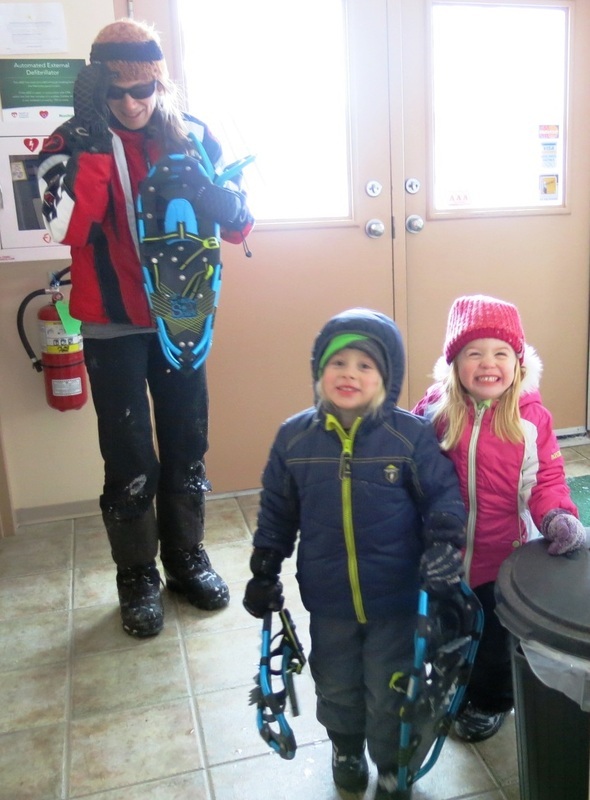 Dead Ox Trailblazers has over 50 sets of ski equipment for the very small to the very tall. 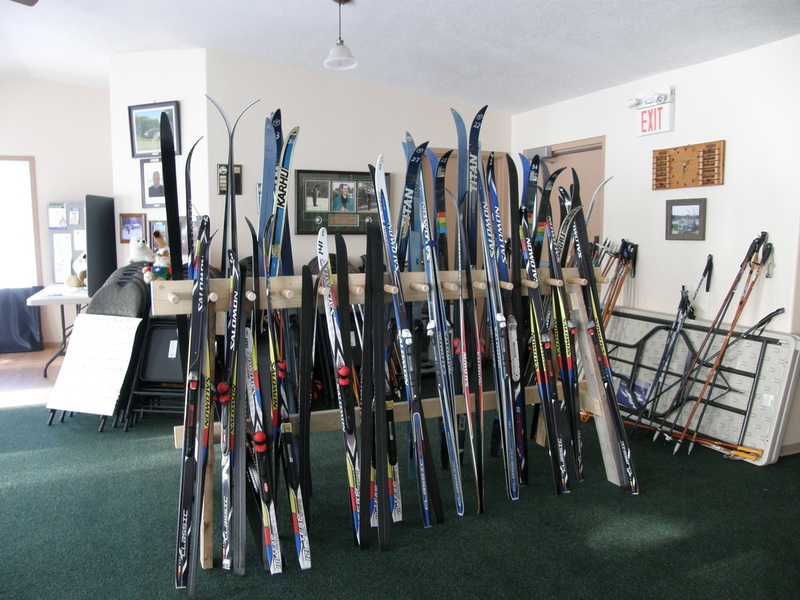 We rent equipment for use at golf course or Oak Ridge (skis, poles, boots, snowshoes, mountain bikes) for a fee. Photo ID is required for all rentals & must pay all fees prior to renting. First come first served basis and cannot be reserved in advance. When we have ski programs we may not have the same size selection as usual. 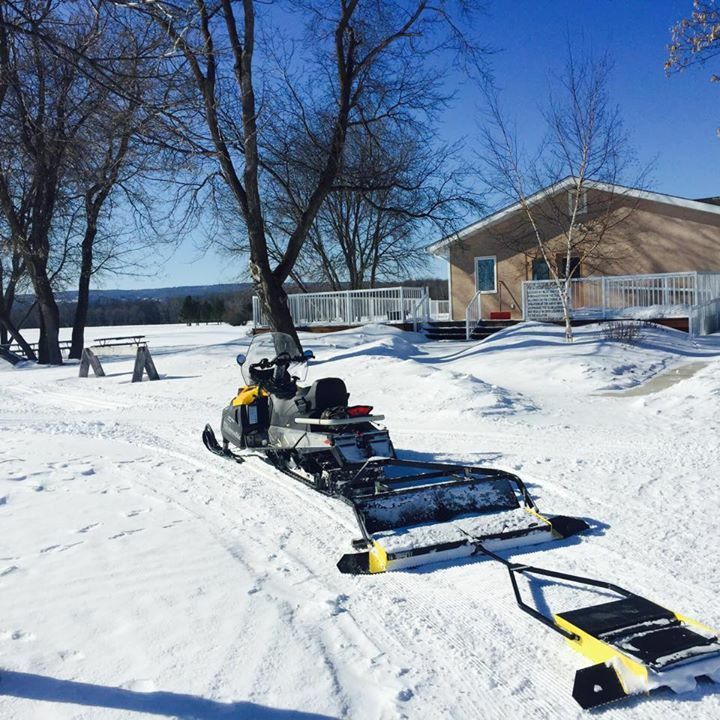 Ski & Winter Bike Trail Grooming - Dead Ox Trailblazers belong to RM Trail Stewards and volunteer to groom local trails on the east side of the park. Watch Facebook for other times and dates Open. 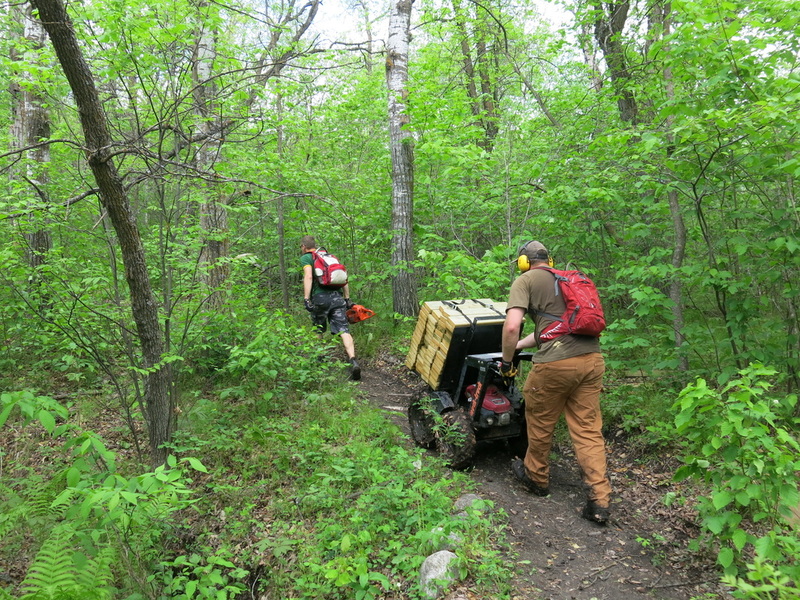 Dead Ox Trailblazers can provide the following equipment or services. Snow Grooming Equipment and expertise. Pilot project with Parks Canada since 2016 for winter grooming on Burls & Bittersweet trail in RMNP continues in 2017-2018 season for winter cycling. Dead OX Trailblazers are part of the Riding Mountain Trail Stewards that volunteer to groom trails in RMNP. This is a temporary fix to a problem that occurred due to cuts in federal funding to RMNP. Dead Ox Trailblazers encourage trail users to write to your MP to have RMNP winter services like trail grooming reinstated in the park. Trail Build Reeve Ravine. Dead Ox Trailblazers have a volunteer agreement with RMNP to help maintain, build and groom Reeves Ravine mountain bike trail on the east side of RMNP. This is an intermediate (blue) mountain bike trail built by bikers with great vistas built on the Manitoba escarpment . Our hope is that more trails will be designed & built in the East Gate area to create a destination biking area in RMNP.